NUMBER OF NOTICES FILED TODAY FOR NOVEMBER CONTRACT: 1 NOTICE(S) FOR 100 OZ. In silver, the total open interest FELL BY A LARGELY ANTICIPATED 7611 contracts from 205,094 DOWN TO 197,483 WITH RESPECT TO YESTERDAY’S TRADING WHICH SAW SILVER FALL BY A CONSIDERABLE 45 CENTS AND FALL WELL BELOW THE HUGE $17.25 SILVER RESISTANCE. WE HAD CONSIDERABLE LONG COMEX LIQUIDATION. HOWEVER WE WERE ALSO NOTIFIED THAT WE HAD QUITE A HUMONGOUS NUMBER OF COMEX LONGS TRANSFERRING THEIR CONTRACTS TO LONDON THROUGH THE EFP ROUTE : 2998 DECEMBER EFP’S WERE ISSUED ALONG WITH 0 EFP’S FOR MARCH FOR A TOTAL ISSUANCE OF 2998 CONTRACTS. (THE ISSUANCE FOR MARCH THAT WE HAVE SEEN THESE PAST FEW DAYS BOTHERS ME A LOT AS THIS IS SUPPOSE TO BE FOR EMERGENCY IN THE UPCOMING DELIVERY MONTH). I GUESS WHAT THE CME IS STATING IS THAT THERE IS NO SILVER TO BE DELIVERED UPON AT THE COMEX AS THEY MUST EXPORT THEIR OBLIGATION TO LONDON. THURSDAY WITNESSED 1078 EFP’S ISSUED FOR YESTERDAY. RESULT: A HUGE SIZED RISE IN OI COMEX WITH THE 45 CENT PRICE FALL. WE HAD CONSIDERABLE COMEX LONGS EXITED OUT OF THE COMEX . HOWEVER FROM THE CME DATA 2998 EFP’S WERE ISSUED FOR TUESDAY FOR A DELIVERABLE CONTRACT OVER IN LONDON WITH A FIAT BONUS. IN ESSENCE THE DEMAND FOR SILVER PHYSICAL INTENSIFIES GREATLY. WE REALLY LOST ONLY 4613 CONTRACTS. In ounces, the OI is still represented by just UNDER 1 BILLION oz i.e. 0.987 BILLION TO BE EXACT or 141% of annual global silver production (ex Russia & ex China). In gold, the open interest FELL BY A LESS THAN EXPECTED 9,277 CONTRACTS WITH THE HUGE SIZED FALL IN PRICE OF GOLD ($19.70) WITH RESPECT TO YESTERDAY’S TRADING. WE HAD CONSIDERABLE COMEX LONGS EXIT THE ARENA. HOWEVER THE TOTAL NUMBER OF GOLD EFP’S ISSUED YESTERDAY FOR TODAY TOTALED A TOTALLY UNBELIEVABLE: 21,428 CONTRACTS OF WHICH THE MONTH OF DECEMBER SAW 21,428 CONTRACTS AND FEB SAW THE ISSUANCE OF 150 CONTRACTS. YESTERDAY, WE WITNESSED A TOTAL OF 12,711 EFP’S ISSUED FRIDAY FOR MONDAY. The new OI for the gold complex rests at 550,561. DEMAND FOR GOLD INTENSIFIES DESPITE THE CONSTANT RAIDS. EVEN THOUGH THE BANKERS ISSUED THESE MONSTROUS EFPS, THE OBLIGATION STILL RESTS WITH THE BANKERS TO SUPPLY METAL BUT IT TRANSFERS TO A LONDON BANKER OBLIGATION AND NOT A NEW YORK COMEX OBLIGATION. THE BANKERS AT THE COMEX HAVE JUST STATED THAT THEY HAVE NO METAL!! THIS IS A MASSIVE FRAUD: THEY CANNOT SUPPLY ANY METAL TO OUR COMEX LONGS BUT THEY ARE QUITE WILLING TO SUPPLY MASSIVE NOT BACKED GOLD (AND SILVER) PAPER KNOWING THAT THEY HAVE NO METAL TO SATISFY OUR LONGS. LONDON IS SEVERELY BACKWARD IN BOTH GOLD AND SILVER AND ON TOP OF THAT IT IS TAKING 6 TO 10 WEEKS TO OBTAIN PHYSICAL WHEN FORWARDS ARE DUE. Result: A HUGE SIZED DECREASE IN OI WITH THE MAMMOTH FALL IN PRICE IN GOLD ON YESTERDAY ($19.70). WE HAD AN UNBELIEVABLE HUMONGOUS NUMBER OF COMEX LONG TRANSFERRING TO LONDON THROUGH THE EFP ROUTE: 21,428. 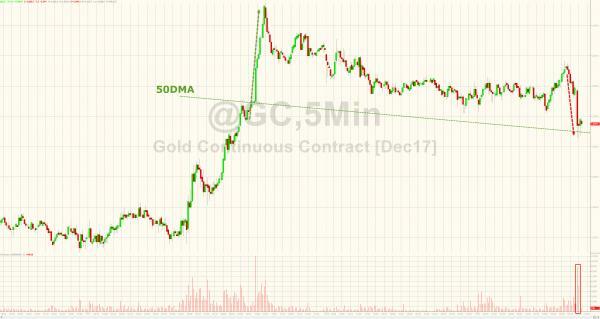 THERE OBVIOUSLY DOES NOT SEEM TO BE ANY PHYSICAL GOLD AT THE COMEX AN YET WE ARE APPROACHING THE HUGE DELIVERY MONTH OF DECEMBER. I GUESS IT EXPLAINS THE HUGE ISSUANCE OF EFP’S…THERE IS NO GOLD PRESENT AT THE GOLD COMEX. IF YOU TAKE INTO ACCOUNT THE 21,428 EFP CONTRACTS ISSUED, WE HAD A NET GAIN OPEN INTEREST OF 12,151: 21,428 CONTRACTS MOVE TO LONDON AND 9277 LEAVE THE COMEX. we had: 1 notice(s) filed upon for 100 oz of gold. Inventory rests tonight: 843.39 tonnes. 1. Today, we had the open interest in silver FELL BY 7611 contracts from 205,094 DOWN TO197,483 (AND now A LITTLE FURTHER FROM THE NEW COMEX RECORD SET ON FRIDAY/APRIL 21/2017 AT 234,787) WITH THE HUGE FALL IN SILVER PRICE (A LOSS OF 45 CENTS ). HOWEVER, OUR BANKERS USED THEIR EMERGENCY PROCEDURE TO ISSUE A MONSTROUS 2998 PRIVATE EFP’S FOR DECEMBER (WE DO NOT GET A LOOK AT THESE CONTRACTS) AND 0 EFP’S FOR MARCH FOR A TOTAL OF 2998 EFP CONTRACTS. EFP’S GIVE OUR COMEX LONGS A FIAT BONUS PLUS A DELIVERABLE PRODUCT OVER IN LONDON. THIS IS QUITE EARLY FOR THESE EFP ISSUANCE..USUALLY WE WITNESS THIS ONE WEEK PRIOR TO FIRST DAY NOTICE AND THIS CONTINUES RIGHT UP UNTIL FDN. WE ALSO HAD CONSIDERABLE AMOUNT OF SILVER COMEX LIQUIDATION. RESULT: A HUGE SIZED DECREASE IN SILVER OI AT THE COMEX WITH THE 45 CENT LOSS IN PRICE (WITH RESPECT TO YESTERDAY’S TRADING). HOWEVER, WE HAD ANOTHER 2998 EFP’S ISSUED ,TRANSFERRING OUR COMEX LONGS OVER TO LONDON TOGETHER WITH CONSIDERABLE SILVER COMEX LIQUIDATION. YESTERDAY WE EXPERIENCED 1078 EFP’S ISSUED FOR TRANSFER TO LONDON. iii)Bloomberg reports on some positive developments with respect to NAFTA being saved. Both the Cdn loonie and the Mexican peso rise. ii)Doomsday preppers are starting to switch from gold to bitcoin. Good luck to them. There is nothing backing bitcoin. It needs to be backed by gold. 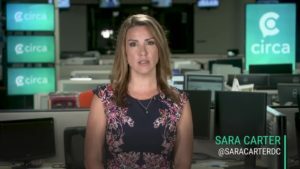 iii)Journalist Sara Carter provides proof of Obama/Clinton involvement in the Uranium 1 scandal and how the DOJ is trying to credit Campbell, the FBI informanta must read..
iv)Uber is bleeding red ink badly. It’s 2nd quarter cash burn was over 600 million dollars or 7 million a day. Mutual funds are announcing that they are going to slash their valuations by 15%. Then why did Uber purchase 1 billion dollars worth of driverless Volvos? The total gold comex open interest SURPRISINGLY ONLY FELL BY ONLY 9277 CONTRACTS DOWN to an OI level of 5550,561 DESPITE THE MAMMOTH FALL IN THE PRICE OF GOLD ($19.70 DROP WITH RESPECT TO YESTERDAY’S TRADING). WE EXPERIENCED SOME GOLD COMEX LIQUIDATION. HOWEVER WE DID HAVE A HUMONGOUS 21,428 COMEX LONGS EXIT THE COMEX ARENA THROUGH THE EFP ROUTE AS THEY RECEIVE A DELIVERABLE LONDON FORWARD TOGETHER WITH A FIAT BONUS. THE CME REPORTS THAT 21,278 EFPS WERE ISSUED FOR DECEMBER AND 150 WERE ISSUED FOR MARCH. THE OBLIGATION STILL RESTS WITH THE BANKERS ON THESE TRANSFERS. DUE TO THE HUGE INCREASE IN OI YESTERDAY, THE BANKERS FELT IT OBLIGATORY TO RAID THE COMEX TRYING TO GET OUR MATHEMATICAL LONGS TO FALL FROM THEIR RESPECTIVE TREE. Result: a HUGE DECREASE IN COMEX OPEN INTEREST WITH THE HUGE SIZED FALL IN THE PRICE OF GOLD ($19.60.) HOWEVER A HUGE 21,428 EFP’S ISSUED FOR A FIAT BONUS AND A DELIVERABLE FORWARD GOLD CONTRACT IN LONDON. WE HAD CONSIDERABLE COMEX GOLD LIQUIDATION YESTERDAY. We have now entered the NON active contract month of NOVEMBER.HERE WE HAD A LOSS OF 0 CONTRACT(S) REMAINING AT 10. We had 1 notices filed YESTERDAY so GAINED 1 contracts or 100 additional oz will stand for delivery AT THE COMEX in this non active month of November. The very big active December contract month saw it’s OI LOSS OF 24,513 contracts DOWN to 243,578. January saw its open interest RISE by 85 contracts UP to 960. FEBRUARY saw a gain of 13,742 contacts up to 226,514. DEMAND FOR GOLD INTENSIFIES TO THE HIGHEST DEGREE. The new front month of November saw its OI FALL by 3 contract(s) and thus it stands at 3. We had 3 notice(s) served YESTERDAY so we gained 0 contracts or an additional NIL oz will stand in this non active month of November. After November we have the big active delivery month of December and here the OI FELL by 22,620 contracts DOWN to 75,364, YET WE HAD 2998 EFP’S ISSUED WHICH MEANS A GOOD PERCENTAGE OF THE ROLLOVERS LANDED IN LONDON AS A TRANSFER OF OI FOR A FORWARD. January saw A GAIN OF 59 contracts RISING TO 1304. Today, 0 notice(s) were issued from JPMorgan dealer account and 0 notices were issued from their client or customer account. The total of all issuance by all participants equates to 1 contract(s) of which 0 notices were stopped (received) by j.P. Morgan dealer and 0 notice(s) was (were) stopped/ Received) by j.P.Morgan customer account. THE COMEX GOLD CONTRACT AT AROUND THE SAME TIME AS LAST YEAR: (NOV 22) WE HAD 199,751 GOLD CONTRACTS STANDING AND THIS COMPARES TO 243,578 TODAY . THE DIFFERENCE IS HUGE! BY THE END OF THE MONTH: FINAL: 29.791 TONNES STOOD FOR COMEX DELIVERY AS THE REMAINDER HAD TRANSFERRED OVER TO LONDON FORWARDS. IN THE LAST 14 MONTHS 80 NET TONNES HAS LEFT THE COMEX. The total number of notices filed today for the NOVEMBER. contract month is represented by 0 contracts FOR NIL oz. To calculate the number of silver ounces that will stand for delivery in NOVEMBER., we take the total number of notices filed for the month so far at 884 x 5,000 oz = 4,420,0000 oz to which we add the difference between the open interest for the front month of NOV. (0) and the number of notices served upon today (0 x 5000 oz) equals the number of ounces standing. Thus the INITIAL standings for silver for the NOVEMBER contract month: 884 (notices served so far)x 5000 oz + OI for front month of NOVEMBER(0) -number of notices served upon today (0)x 5000 oz equals 4,420,000 oz of silver standing for the NOVEMBER contract month. This is EXCELLENT for this NON active delivery month of November. We gained 0 contract(s) or an additional NIL oz will stand for metal in the non active delivery month of November. AS I MENTIONED ABOVE, WE HAVE BEEN WITNESSING QUEUE JUMPING IN SILVER FROM MAY 1 2017 ONWARD. IT IS NOW COMFORTING TO SEE CONSIDERABLE QUEUE JUMPING OCCURRING CONTINUALLY IN GOLD FOR THE FIRST TIME SINCE RECORDED TIME AT THE GOLD COMEX!!(1974). QUEUE JUMPING CAN ONLY OCCUR ON PHYSICAL METAL SHORTAGE. THE TRANSFER OF EFP’S TO LONDON FURTHER INTENSIFIES THE DEMAND FOR PHYSICAL METAL!! AT THIS TIME LAST YEAR WE HAD 56,352 NOTICES STANDING FOR DELIVERY FOR SILVER. THIS YEAR 75,364 WITH THE SAME NUMBER OF TRADING DAYS LEFT. ON FIRST DAY NOTICE FOR THE DECEMBER CONTRACT WE HAVE 15.282 MILLION OZ STAND. THE FINAL STANDING: 19.900 MILLION OZ AS QUEUE JUMPING INTENSIFIED. THE COMMODITY LAW SUGGESTS THAT OPEN INTEREST SHOULD NOT BE MORE THAN 3% OF ANNUAL GLOBAL PRODUCTION. THE CROOKS ARE SUPPLYING MASSIVE PAPER TRYING TO KEEP SILVER IN CHECK. 1. Central Fund of Canada: traded at Negative 2.4 percent to NAV usa funds and Negative 2.1% to NAV for Cdn funds!!!! Note: Sprott silver trust back into NEGATIVE territory at -1.06%-/Sprott physical gold trust is back into NEGATIVE/ territory at -0.60%/Central fund of Canada’s is still in jail but being rescued by Sprott. *LAST 212 TRADING DAYS: A NET 59,72 TONNES HAVE NOW BEEN ADDED INTO GLD INVENTORY. *FROM FEB 1/2017: A NET 28.61 TONNES HAVE BEEN ADDED. Nov 9/no change in silver inventory at the SLV/inventory rests at 318.074 million oz. This weekend saw bitcoin shoot up over $8,000 and Bloomberg covered how some preppers were turning to bitcoin over gold. Does this mean it’s all over for gold? Is it set to be supplanted as a safe haven by crypto currencies? Hardly. People read such information and continue to believe that gold and cryptocurrencies are substitute assets. They are not. So why are they so often pitched against one another? Bitcoin and its contemporaries clearly have a role to play, the volume of demand demonstrates this and the technology is powerful. But, that role is not as a replacement for gold as a store of value. Risk Hedge provided a great summary of the major flaws and differences in the gold versus crypto debate and the six reasons are listed below. It sems the 100DMA is a key level with heavy volume being used to push gold futures around it. Gold is holding reasonably well near the highs of the range established in the past couple of months. A few macro factors have been supportive of late: the pullback in the dollar, a pause in the rise in US nominal and real rates particularly on the long end, consolidation in equities, and political and fiscal uncertainty in the US. Latest political headlines out of Europe are probably helping at the margins, although currency moves could complicate the impact. Stepping back from near-term developments, it’s worth noting that the gold market’s correction and subsequent consolidation has generally been orderly. The relatively measured unwinding of positions on Comex from the year’s highs reached in September is a reflection of this. Latest CFTC data shows that gold net long positions have been tentatively rebuilding over the past couple of weeks; at 22.33moz, market net length looks relatively lean around 60% of the all-time high, albeit still higher than the 12-month average around 17 moz. The recent build in net positioning was mainly due to gains in gross longs. Although gold shorts increased for the first time in four weeks as of November 14, volumes were very modest. A combination of resilient longs and hesitant shorts has helped gold form a decent base and enabled prices to climb above some support levels, improving the overall technical picture. 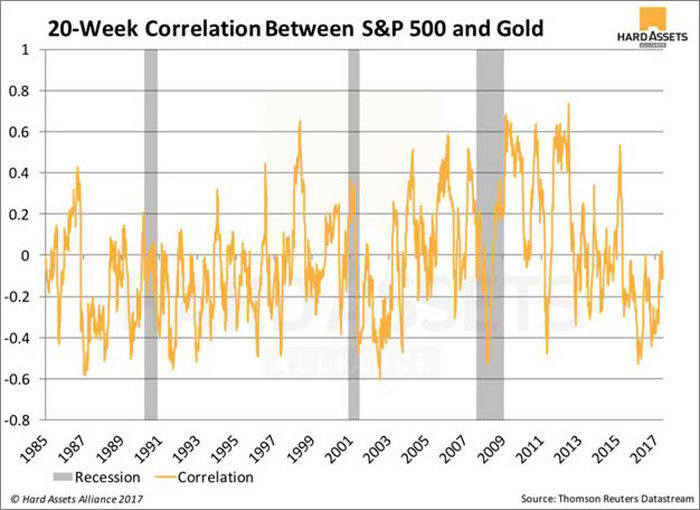 As we have previously noted, we think gold’s resilience is in large part due to lingering uncertainty; although macro risks in general are perceived to be lower, there is an acknowledgment that known unknowns and unknown unknowns continue to lurk. Additionally, some seasonal demand is likely also keep gold supported. Bits and pieces of interest are evident out of China, although there seems to be no urgency to stock up for the Lunar New Year holidays which will occur later in February this time around. Market participants have also indicated a preference to hold off until after the FOMC December meeting is out of the way. We think gold’s performance of late and the prospect for further seasonal demand to kick in – albeit with unexceptional volumes – should put gold in a reasonably healthy position for a rebound above $1300 towards the year-end through to early 2018. Russia adds a huge 21.8 tonnes of gold to its reversed and is now 42 tonnes away from China. However China does not disclose its reserves any longer. My bet is that officially they have north of 20,000 tonnes of gold. The Russian central bank added another 700,000 ounces of gold (21.8 tonnes) to its gold reserves in October, which now puts it within a whisker of China’s 1,842.6 tonnes with a total holding of 57.9 million ounces – or just over 1,800 tonnes. Given that China is currently reporting zero month by month increases in its reserves (which we believe is not its true gold accumulation position), it looks as though Russia, which has been expanding its gold reserves by around 200 tonnes a year (around 185 tonnes so far this year – with 2 months to go), remains on target to overtake China’s ‘official’ reserve figure by the end of the current year, or early next. As we have noted here before, we consider the Chinese reports of zero additions to its officially reported gold reserve figure, which has remained static for 12 months, as dubious at the very least. While we don’t think Russia’s gold reserves increases are designed to leapfrog China as the world’s No. 5 national official holder of gold, they will do this if the country continues to add to reserves at the current rate and China continues to report zero increases. Rather, the Russian gold reserve building programme is in place in part to reduce the nation’s reserve dependence on the U.S. dollar. This is in recognition that the increasingly hostile rhetoric that is arising from the neocon element in the U.S. hierarchy could lead to Russia being cut off from the U.S. financial system as the possibility of economic sanctions being increased, as suggested by U.S. Treasury Secretary Steve Mnuchin, is seen as real. While President Trump may well be disinclined to raise the ante in any U.S. – Russian stand- off, his lack of success in ‘draining the Washington DC swamp’, which still seems to call the tune on U.S. foreign relations policy, suggests Russia’s current policy vis- à-vis gold may be a sensible one. The rise in Bitcoin’s price was approaching “warp speed” above $8,200 overnight when, as so often happens, it went into another sharp reversal. After hitting an intra-day high of almost $8,265 in early trading on Tuesday, the price crashed more than $400 to $7,827, its biggest drop since November 13. This time it wasn’t another Dimon-esque rant, or the prospect of another fork (technically, these are bullish) but an old-fashioned theft in another cryptocurrency, Tether. Tether is a controversial crypto-business which provides a wallet service allowing crypto exchanges to store and convert fiat currencies to “safe” tokens (not to be confused with an ICO token) and vice versa. Tether has a market cap of roughly $673 million and is the world’s nineteenth largest cryptocurrency, based Coinmarketcap.com data. Regarding the theft, Tether alleges that $31MM of USDT tokens (Tethers trading at parity with the dollar) were stolen on 19 November 2017. In response Tether said it has flagged the tokens — meaning that it will track them and prevent the holder from exchanging them through its service — and that it is working to recover them. For partners, the back-end wallet service has been suspended. Tether said it will investigate the incident while it rolls out an update to Omni Core — its software for partners — that will prevent the stolen coins from recirculating into its ecosystem by essentially locking them into the alleged hacker’s wallet. Where things begin to get murky, is the extent to which there may or may not be a relationship between Tether and another controversial player in the cryptocurrency space, Bitfinex. The latter is the major crypto exchange which was famously hacked in 2016, after which the Bitcoin price fell 20%. The Crunch notes that some crypto players are already expressing concern about a potential “inside job”. One of the partners that uses Tether is crypto exchange Bitfinex, which itself lost 119,756 bitcoin — then worth $72 million but valued at over $950 million today — in a hack over a year ago. As Coindesk reports, the incident is sure to throw up more questions about the relationship between Tether and the secretive exchange Bitfinex. The duo are rumored to share owners, and have been accused of leaning on each other to manipulate the market. Already, there are theories circulating that suggest this new attack could be an inside job. 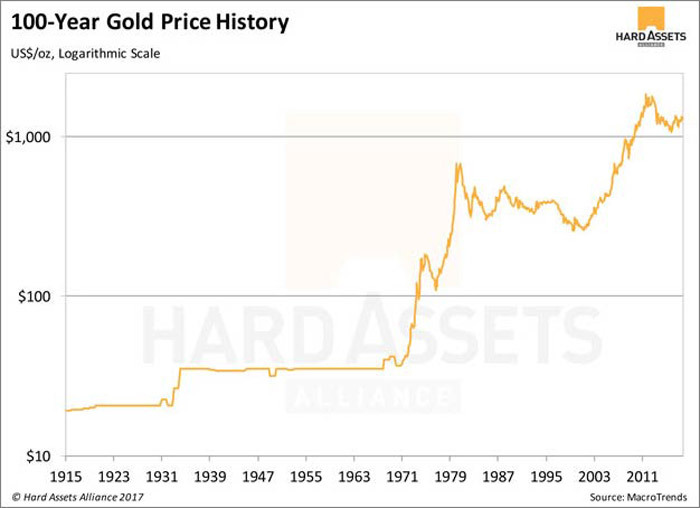 This latest hit to Bitcoin is likely to prompt more discussion of the relative advantages of gold versus Bitcoin. In a recent post On Zero Hedge, John Rubino cited an article on the Risk Hedge website “All the Reasons Cryptocurrencies Will Never Replace Gold as Your Financial Hedge” in which security was highlighted as one of the key risks for cryptos. Security is a major drawback facing the cryptocurrency community. It seems that every other month, there is some news of a major hack involving a Bitcoin exchange. In the past few months, the relatively new cryptocurrency Ether has been a target for hackers. The combined total amount stolen has almost reached $82 million. Bitcoin, of course, has been the largest target. Based on current prices, just one robbery that took place in 2011 resulted in the hackers taking hold of over $3.7 billion worth of bitcoin—a staggering figure. With security issues surrounding cryptocurrencies still not fully rectified, their capability as an effective hedge is compromised. When was the last time you heard of a gold depository being robbed? Not to mention the fact that most depositories have full insurance coverage. 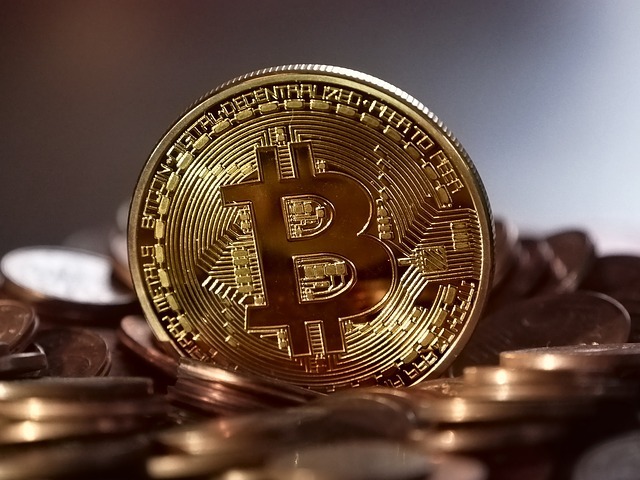 In another recent post, “Doomsday Preppers Are Switching Allegiance From Gold To Bitcoin”, the issue of security was also prominently discussed. However, for preppers, the main issue was what would happen if the grid failed. As we’ve suggested, it’s hardly surprising given Bitcoin’s performance that investors and preppers alike have switched their allegiance towards the pre-eminent crypto-currency. However, more events like this, will only add to the view that there is a place in portfolios (and bunkers) for both. After Bitcoin topped $8200 yesterday, we noted the following amusing comment from currency brokerage ForexTime. We’re not there yet, but the price is already closing in on the pre-theft record high of $8,300 as we write. Doomsday preppers are starting to switch from gold to bitcoin. Good luck to them. There is nothing backing bitcoin. It needs to be backed by gold. After surging above its 50-day moving-average on Friday, it appears someone is keen for that key technical level not to hold as they dumped almost $2 billion notional in seconds this morning, testing down to the 50-day moving average. 3b Japan 10 year bond yield: RISES TO . +.033/ GOVERNMENT INTERVENTION !!!! (Japan buying 100% of bond issuance)/Japanese yen vs usa cross now at 112.56/ THIS IS TROUBLESOME AS BANK OF JAPAN IS RUNNING OUT OF BONDS TO BUY./JAPAN 10 YR YIELD FINALLY IN THE POSITIVE/BANK OF JAPAN LOSING CONTROL OF THEIR YIELD CURVE AS THEY PURCHASE ALL BONDS TO GET TO ZERO RATE!! 3j Greek 10 year bond yield RISES TO : 5.298??? 30 SNB (Swiss National Bank) still intervening again in the markets driving down the SF. It is not working: USA/SF this morning 0.9943 as the Swiss Franc is still rising against most currencies. Euro vs SF is 1.1659 well above the floor set by the Swiss Finance Minister. Thomas Jordan, chief of the Swiss National Bank continues to purchase euros trying to lower value of the Swiss Franc. … which in turn pushed the Stoxx 600 and US index futures higher, rising above yesterday’s session high on negligible volumes. Global equity futures rallied with Hang Seng futures outperforming and flash smashing to close the session, after a strong finish for Chinese equities following a report out of MNI that Chinese deleveraging may not be as stringent next year. European stocks rose this morning (Stoxx 600 +0.3%) as the Euro sank, helped by positive notes out from Goldman Sachs, who are overweight European automakers. Goldman said in a Europe strategy note that “deep value sectors” (autos, oil, and utilities) will help Stoxx Europe to return 12% in next 12 months. As a result, European automakers outperform led by VW for a second straight day, with the SXAP index advancing as much as 1.9%, best of 19 groups on the Stoxx Europe 600 benchmark (Volkswagen +3.8%, Porsche +2.7%, BMW +2%, Daimler +1.7%). Additionally, Imperial Brand shares rallied after their CEO change, as analysts speculate that this could increase the likelihood that the company will be taken over by Japan Tobacco. Airliner EasyJet is flying high this morning following strong financial results. Bunds are taking another look at 163.00+ levels having faded rallies above the big figure on several occasions recently. Stocks have already moved on from this weekend’s German government crisis: German President Frank-Walter Steinmeier said Germany was facing its worst governing crisis in the 68-year history of its post-World War Two democracy and pressed all parties in parliament “to serve our country” and try to form a government. adjustments to its guidance on monetary policy next year. EGBs rallied led by gilts which are supported ahead of index extension tomorrow, additionally some focus from European traders on dovish ECB sources piece from yesterday. The dollar stayed within relatively tight ranges versus its major peers, with average volumes. The euro and the pound edged higher, backed by leveraged interest, only to be capped by their respective 55-DMAs before shedding gains. The Swedish krona led G-10 losses on the back of record low interbank rate fixings, while the Turkish lira pared a drop to an all-time low after the central bank raised borrowing costs. Meanwhile, sterling was steady and gilts advanced amid reports Prime Minister Theresa May has the backing of ministers to offer the European Union more money to break the Brexit deadlock. The Australian dollar dropped to a five-month low after suggestions from the central bank that interest rates will stay lower for longer; EUR/SEK breache’d 10.00 briefly before fading back. Turkey’s lira hit a new record low against the dollar but pared some of the drop after its central bank tightened liquidity, as the standoff between Erdogan and central bank continues. In overnight central bank announcements, the Bank of England’s Deputy Governor Cunliffe said inflation has been a bit lower than BoE forecast in Autumn and that it’s possible to wait before tightening policy until there is clear evidence that pay growth is responding to unemployment level. Elsewhere, RBA minutes from November 7th meeting stated that any further appreciation in AUD would slow expected pick-up in inflation and the economy. The minutes also stated that there is considerable uncertainty on how fast wages might pick up and add to inflation, while it added that a pass through to inflation may be delayed by many factors. RBA’s Lowe stated that there is ‘not a strong case’ for near-term change in interest rates with the bank paying attention to soft wage growth. In the U.S., confirmation that Federal Reserve Chair Janet Yellen will leave the board in February creates a fourth vacancy for President Trump to fill, making it trickier for investors to bet on the central bank’s interest rate trajectory next year. While the Thanksgiving holiday gives traders an excuse to pause, equities are heading into the end of the year near their peaks, with investors optimistic about global growth and company earnings. Meanwhile the collapse in the US Treasury curve continued, with 2s10s moving below 60bps, and screaming inversion as soon as early next year. At the same time, The gap between French and German borrowing costs on Tuesday narrowed to its tightest level since before the euro zone debt crisis of 2010-2012. Germany’s 10-year yield fell two basis points to 0.34%, the lowest in almost two weeks. Britain’s 10-year yield decreased four basis points to 1.257%, the lowest in almost two weeks. Japan’s 10-year yield dipped one basis point to 0.033%, the lowest in more than a week. Oil prices rose on expectations of an extended OPEC-led production cut, although rising output in the United States capped gains. Brent crude futures were up 0.78 percent to $62.72. West Texas Intermediate crude fell 0.6 percent to $56.09 a barrel. Gold increased 0.3 percent to $1,280.39 an ounce. Copper gained 0.3 percent to $3.13 a pound, the highest in more than a week. FX price action fairly tepid thus far. Asian equity markets were higher across the board as the region took the impetus from the positive close on Wall St, with Nikkei 225 (+0.9%) underpinned as exporters benefitted from JPY weakness. The benchmark Japanese index briefly broke above the 22,500 level as stocks coat-tailed on the rebound in USD/JPY, with Toshiba reprieved from yesterday’s slump to sit among the biggest gainers. ASX 200 (+0.3%) also traded with broad-based optimism across its sectors albeit to a lesser extent and Chinese markets completed the upbeat picture following another significant liquidity operation by the PBoC, with the Hang Seng (+1.5%) leading on continued gains in its largest weighted stock Tencent which recently became a member of the exclusive USD 500bln market-cap-club. Finally, 10yr JGBs were relatively flat throughout the session with demand subdued by the broad positive risk tone and a tepid longer-dated enhanced liquidity auction, although a mild uptick was seen in late trade as prices broke above 151.00. PBoC injected CNY 130bln in 7-day reverse repos, CNY 40bln in 14-day reverse repos and CNY 10bln in 63-day reverse repos. Net of maturities, the injection was only CNY 10bn however. PBoC also set the CNY mid-point weaker at 6.6356 vs Prev. 6.6271. Elsewhere, the Japanese Government to cut 30 and 40 year JGB supply in FY 2018/2019. European equities modestly higher this morning (Stoxx 600 +0.2%), with positive notes out from Goldman Sachs, who are overweight European automakers. Goldman said in a Europe strategy note that “deep value sectors” (autos, oil, and utilities) will help Stoxx Europe to return 12% in next 12 months. As a result, European automakers outperform led by VW for a second straight day, with the SXAP index advancing as much as 1.9%, best of 19 groups on the Stoxx Europe 600 benchmark (Volkswagen +3.8%, Porsche +2.7%, BMW +2%, Daimler +1.7%). Additionally, Imperial Brand shares rallied after their CEO change, as analysts speculate that this could increase the likelihood that the company will be taken over by Japan Tobacco. Airliner EasyJet is flying high this morning following strong financial results. Bunds are taking another look at 163.00+ levels having faded rallies above the big figure on several occasions recently. The bullish fundamentals and flow/positioning motives are well known and documented, but chart-wise market contacts note that support around 162.86 (rising trendline and Monday’s late Eurex base) held on the downside, prompting some intraday buying for a bounce to 163.06 resistance initially and then 163.16 (yesterday’s session peak) vs a high so far at 163.15. Beyond that, 163.22 needs to be breached to expose 163.40 and this month’s 163.63 peak. However, another retreat and failure to retain grasp of the 163.00 handle will bring 162.82 back into play as support (Monday’s actual intraday low), and on a break those short term longs not booking profit at 163.06 are expected to bail. Turning to Gilts, more upside also seen and a return to the 125-plus zone, at 125.29 for a 33 tick gain on the day vs 12 tick loss at one stage, before easing back slightly on larger than forecast UK PSNB shortfalls. In FX markets, price action has been relatively contained thus far. The USD index is firmer around the 94.000 handle in thin holiday-impacted trade, with the USD gaining ground vs most major counterparts on a generally more risk-on mood. EUR has been resilient in the face of Germany’s struggles to form a new Government and the threat of another election. EUR/USD continues to find support ahead of stops around 1.1720 and bids at 1.1700, with reported fixing demand in Asia propping the pair, but the 100 DMA around 1.1745-50 capping recovery gains. Elsewhere, AUD has rebounded from overnight lows post-RBA minutes, as Governor Lowe underlined that the next move in rates will be up, although the lead time to any tightening remains lengthy. Meanwhile, GBP was unreactive to the latest public borrowing data as markets look to see whether or not PM May will get the green-light for an enhanced divorce bill offer to the EU. In commodities, WTI and Brent crude futures have continued to climb through the European session with energy related newsflow on the light-side as prices retrace some of the declines seen in the early stages of yesterday’s session. Energy markets are looking ahead to next week’s OPEC meeting, however, markets are firmly expecting an extension to existing production cuts in lieu of recent rhetoric from the cartel. In metals markets, gold only managed to nurse some of yesterday’s losses overnight as a broad positive risk tone kept safe-haven demand subdued. Copper maintained most of the prior session’s gains with prices supported by the risk appetite and amid gains in Chinese steel and iron ore prices on optimism for increased demand following the winter season. Looking at the day ahead, central bank speakers will likely be the centre of attention again with Fed Chair Yellen due to speak in the evening as part of a series with former BoE governor Mervyn King, while the ECB’s Coeure chairs a panel in Frankfurt in the afternoon. Datawise, UK public sector net borrowing and CBI trends data for October and November are due, while in the US the Chicago Fed national activity index and existing home sales data for October is due. There wasn’t much contagion yesterday after the surprise collapse in German coalition talks late on Sunday night. Over the last couple of years negative market reaction to political shocks has often been over before you can digest it fully. Examples being the Greek and Brexit referendums and the Trump election results. Although the German coalition talks collapsing is much lower key than these events, it was still interesting that the DAX was only negative for 1 hour 16mins and that the Euro had snapped back into positive territory 37 minutes earlier even if it did soften again as the day progressed closing -0.49% against the dollar. The DAX closed +0.50% (high to low had been as much as +1.23%) and the Stoxx 600 +0.67% (range 0.91%). Overall it’s hard to see what the solution is to the gridlock in Germany but it’s also hard to see it being that negative for markets other than at the margin. Mrs Merkel yesterday effectively ruled out a minority government and the SPD continue to rule out a return to a Grand Coalition so unless talks can be reignited, a snap election early next year seems increasingly likely. As an outsider not as familiar with the German election process as many of my readers I can’t help wondering how a fresh election will help much with recent polls seemingly not changing that much from the September 24th election. However, perhaps the campaigning would persuade enough voters to change their mind that the coalition math might be easier. Unlikely but possible. The good news from our economists in Germany is that the political system means there’s no power vacuum and thus no time pressure to progress things. This probably helped prevent the market reacting too negatively yesterday although it can’t be too positive at the margin for Brexit talks and for fresh Macron/ Merkel European initiatives in the near-term. For more on the technicalities and options open now see the note “Coalition talks collapsed – unchartered territory ahead” from our German economists yesterday. Overnight, the Fed’s Yellen has confirmed that she will be stepping down from the Board of Governors once Mr Powell is sworn into the office. Her vacancy will give President Trump a fourth spot to fill in the new Fed, including the Vice Chairman spot. Elsewhere, Trump has redesignated North Korea as a state sponsor of terrorism and the Treasury department is expected to announce additional sanctions today. Notably, Secretary of State Tillerson “still hopes for diplomacy” with the State. We wonder whether North Korea will retaliate with some form of defiance after this so watch out for that. This morning in Asia, markets have followed the positive lead from the US. The Hang Seng (+1.30%), Nikkei (+0.93%), Kospi (+0.15%) and Shanghai Comp (+0.40%) are all up as we type. Turning to Brexit headlines, it seems that in addition to the stalemate on UK’s financial settlement to the EU, there are other unresolved issues before talks can move onto trade and a transition deal. Chief EU Brexit negotiator Barnier has noted that the Irish border will require a specific solution and it’s up to “those who wanted Brexit” to come up with those solutions. Elsewhere, he has warned “the legal consequence of Brexit is that the UK financial services providers lose their passport (rights to the EU bloc)”. Also press reports last night suggested that PM May has cabinet approval to double the settlement offer from the current EUR20bln. Moving onto central bankers’ commentaries now. The ECB’s Draghi reiterated that despite the sound economic recovery, “underlying inflation pressures are still subdued as labour market slack remains significant…. (and that we) still need time to translate into dynamic wage growth”. On non-performing loans in the EU bloc, he cautioned that we need to “…work together to cope with this problem….but at the same time doesn’t create the destabilizing effects that people fear”. On Brexit, he noted it was difficult to properly analyse, mainly because “we don’t have yet a precise or even imprecise view of what the negotiating platform will be”. Notably, he said that the Brexit “transition can be managed in a smooth way…but it should be done without compromising over the integrity of the single market”, although “this is easier to be said than done”. Following on, BOE policy maker Mr Ramsden has warned that Brexit could put the economy in an “unusual” slow down for years. He noted “given the long horizon over which the effects of Brexit could play out, we’re likely to be on the flat part of the saucer for some time”. On his decision to dissent on the recent rate hike, he noted there may be more room for the economy to grow without price gains, noting “…one must pay close attention to any signs that above target inflation is feeding through to second-round effects in domestic costs…so far, that doesn’t seem to be the case”. Now recapping other markets performance from yesterday. US equities all strengthened, with both the S&P and Nasdaq up c0.1% and Dow up 0.31%. Within the S&P, telco (+0.97%) and financials stocks rebounded and led the gains, with partial offsets from health care and utilities names. European markets were all modestly higher despite the German political instability. Across the region, the Stoxx 600 (+0.67%), DAX (+0.50%) and CAC (+0.40%) rose modestly, while the FTSE 100 was the relative underperformer (+0.12%). The modest risk on bias was evident in volatility measures, with the VIX down for the third consecutive day (-6.8% to 10.65) while the VSTOXX also fell -7.05% after spending only 43 minutes higher at the open. Over in government bonds, core bond yields were mixed but little changed (UST 10y: +2.3bp; Bunds +0.2bp; Gilts -0.3bp), while peripherals outperformed with Italy and Spanish yields down 3-4bp. Elsewhere, the flattening across the Treasury curve has continued with the 5s30s curve c3bp flatter to 68.8bp, marking a fresh 10 year low. Turning to currencies, the US dollar index and Sterling gained 0.44% and 0.12% respectively, while Euro fell 0.49% following the aforementioned developments in Germany. In commodities, WTI oil dipped 0.58%, in part as investors await potential confirmation of production cuts in the upcoming OPEC meeting on 30th November. Elsewhere, precious metals weakened (Gold -1.20%;Silver -2.30%), with Gold down the most since late September, while other base metals were mixed (Copper +0.91%; Zinc -0.06%; Aluminium -1.44%). Away from the markets, DB’s China research team have published another note looking at China’s macro risks. They have noticed new signs of a tightening in fiscal and monetary policies over the past week. For example, on the fiscal front, the Ministry of Finance issued a document to tighten control over public private partnership projects. On monetary front, the government released draft guidelines on the asset management sector, which from a macro perspective could structurally constrain financial leverage and further tighten credit growth. Overall, the team believes these new measures are positive for China in the long term, but in the next 6 months they will likely cause the economy to slow. purchases last week was €2.33bn and Net PSPP purchases €12.27bn. This left the CSPP/PSPP ratio at 19.0% last week (15.4% over the last 4 weeks vs. 11.5% before QE was trimmed in April 2017). Although we don’t think CSPP will be trimmed much after the January taper last week’s buying seemed anomalous in part as issuance was high over the period and the ECB may have taken advantage of this, particularly as the upcoming holiday season might bring liquidity challenges later on. Moving to the limited macro data releases from yesterday. In the US, the October Conference board leading index was above expectations at 1.2% mom (vs. 0.8% expected) and 5.2% yoy – the highest since May 2015. In Germany, the October PPI was in line at 0.3% mom and 2.7% yoy. In Japan, we saw a trade surplus of JPY323bn in October, which was modestly larger than expected. Looking at the day ahead, central bank speakers will likely be the centre of attention again with Fed Chair Yellen due to speak late in the evening as part of a series with former BoE governor Mervyn King, while the ECB’s Coeure chairs a panel in Frankfurt in the afternoon. Datawise, UK public sector net borrowing and CBI trends data for October and November are due, while in the US the Chicago Fed national activity index and existing home sales data for October is due. The ADRs of several Chinese lenders, such as recently IPO’d Qudian and Hexindai, are crashing following a report from Netease that the country has decided to halt approvals for new online microlenders, citing risky cash-loan businesses at some firms. Bloomberg reports that the Netease report raised concern that the lenders, some of which just recently listed in the U.S., could be subject to further restrictions. Adding to the pain, state-backed business publication Yicai Global earlier said Qudian suffered a data leak related to millions of student users, citing a Nov. 20 article from local media outlet Yibencaijing. Once again the greedy, make-a-quick-buck, what-could-go-wrong, US equity market investor is left holding the bag… Will they ever learn? Top of the wobbly blocks list is Merkel – what happens next in Germany? The CDU’s disastrous shift left has opened the door for the extreme right, and has fractured her own support. Merkel’s survivability is questionable. In her wake, all efforts to rejig Europe via closer union and monetary/fiscal harmonisation via banking union are absolutely on hold while the German constitutional crisis (yep, for that is what it is) plays out. Markets don’t seem particularly worried – they have become blasé about political risk and look to the upside of Germany’s apparent rosy and robust financial strength. What’s not to like about Germany? What can possibly go wrong – it regards the current Merkel issue as a short-medium term minor concern. Get over it. On a purely German basis they might be right. The critical thing for Europe is who follows Mutti? Merkel’s threats to call another vote rather than continue coalition talks looks like bluster – sounds like she’s trying to scare the opposition parties into a deal rather than go through the uncertainty of second election. If it comes to a second vote, it’s another miscalculation. The question being asked yesterday was “who replaces her?” She’s been inordinately successful ensuring all upcoming potential political rivals were snuffed out, but one name I heard from two good sources is Jens Spahn. If you’ve never heard about him (and since he’s a German politician you probably haven’t), this lays out where he’s coming from. Clearly I have no right to speculate on what happens in German politics when UK politics is such a mess. However, I am indebted to my colleague Steve Previs for pointing out the similarities between the UK and Germany. Spot the difference and who said what: “No deal is better than a bad deal” and “No coalition is better than a bad coalition”. Of course, Brexit is the second wobbly Jenga block. May is looking likely to up her divorce offer – which will further destabilise her own position but might force recalcitrant Europeans to notice. I doubt it. They are currently looking to the East.. not the West. Ahead of tomorrow’s UK budget, there is some interesting stuff in the papers about how European budget spending will have to be slashed post-Brexit. The pain will be felt across the European soft-underbelly! The issue of German liability for the new European deposit insurance scheme (EDIS) was one of the issues that caused the coalition talks to fail: no Germans politician wants associated with policies that would mean paying the liabilities of Italian banks! It might be even more confusing. Has the ECB just turned the basis of finance on its topsy-turvy head – again? If you’ve been buying covered bonds issued by undercapitalised, over-NPL’d European banks – then worry. By putting “covered deposits” in the firing line, covered bonds lose secured status and look subject to the same bail-in **** and all the other uncertainty the ECB leaves in its wake. Pfanbriefe anyone? Suckers! And getting rid of depositor credit insurance? What a marvellous idea. It certainly fits with the European dream.. You know the one: how Europe would work much better if there just weren’t any pesky complaining citizens to worry about. Why not just Europeanise the whole European banking sector, take everyone’s money and give it to French farmers and Brussels Eurocrats? It would be much simpler. Of course it’s all about the Germans refusing to bail out feckless foreign types.. (Of course it is.. everything in Europe is about the Germans..) It’s a carrot and stick approach to solving the Italian bank conundrum – if they reduce NPLs, then the ECB will graciously bail depositors via the EDIS. Otherwise, the Germans aren’t going to give them access. Two days after Israel provided the first ever official confirmation of covert ties with Saudi Arabia, a step many analysts see as a precursor to future conflict in the Middle East involving adversaries Iran and Lebanon, on Tuesday the head of the Lebanese Army told the military to be at “full combat readiness” to face “the Israeli enemy” at the country’s southern border. The announcement comes as Arab nations, including Saudi Arabia, vow to tighten their grip on Lebanon’s Hezbollah militia. “The army needs to be prepared to “confront the threats and violations of the Israeli enemy and its hostile intentions against Lebanon,” Joseph Aoun said on Tuesday, while urging the army to cooperate with United Nations forces in Lebanon under UN Security Council Resolution 1701, adopted to resolve the 2006 Israel-Lebanon conflict. The statement came after Lebanese President Michel Aoun said that “Israeli targeting still continues and it is the right of the Lebanese to resist it and foil its plans by all available means,” according to Reuters. President Aoun’s remarks were echoed by Lebanese Foreign Minister Gebran Bassil, who also cautioned Tel Aviv against sparking a war, according to RT. Lebanon is ready to act, but will do its utmost to prevent Israel from an invasion, he told RT last week. “We should restrain Israel from starting a war exactly because Lebanon is sure to win it,” he said. As reported at the start of the month, Lebanon has been undergoing a deep political crisis after Prime Minister Saad Hariri abruptly resigned on November 4 in a televised statement from Saudi Arabia. In his resignation address, Hariri accused Iran and Shiite Hezbollah militia of sowing strife in Arab countries. As further reported, on Sunday the Arab League called an emergency meeting in Cairo blaming Iran for destabilizing the region. The alliance also described Hezbollah as a terrorist organization, but stopped just short of threatening any action against either. Ahmed Aboul Gheit, the Arab League’s secretary-general, said its members may reach out to the UN Security Council to discuss possible steps against the Islamic republic. Meanwhile, Tehran dismissed the Arab League statement on Iran, saying it was “full of lies” and the product of Saudi “pressure and propaganda.” Iranian Foreign Ministry spokesman Bahram Ghasemi called on Saudi Arabia to stop its “barbaric attacks” in Yemen. He also called on Riyadh to drop its embargo on Qatar, a country which has close ties to Tehran. “Lebanon has confronted Israeli aggressions from 1978 until 2006 and has been able to liberate its territories,” he added, as cited by National News Agency. The disclosure comes days after Lieutenant General Gadi Eisenkot, chief of staff of the Israeli Defence Forces (IDF), said that Tel Aviv is willing to contribute to “a new international alliance” in the Middle East, which is determined “to stop the Iranian threat.”He said that, while Israel does not planning on striking Hezbollah, it is ready to share intelligence on Iran with Saudi Arabia. Tel Aviv and Riyadh do not have diplomatic ties with each another. Earlier this week, Iran reiterated once again it is determined to bring lasting peace to Syria, while its Gulf neighbors are sparking tensions in the region. Tehran has been working with international allies such as Russia and Turkey to ensure ceasefire in Syria and pave the way for political reconciliation, Iranian Foreign Minister Javad Zarif said on Sunday. At the same time, Riyadh “fuels terrorists, wages war on Yemen, blockades Qatar [and] foments crisis in Lebanon,” Zarif tweeted. The Iranian diplomat posted his statement after a new round of talks with his Russian and Turkish counterparts, Sergey Lavrov and Mevlut Cavusoglu, respectively who met in Antalya, Turkey, on Sunday to discuss the Syrian conflict. On Wednesday, the president of Iran and Turkey are set to meet with Russian president Putin in Sochi, where a day after a previously undisclosed meeting with Syrian leader al-Assad, Putin will seek to formalize the end of the Syrian civil war and establish the framework for the future in the middle east, one which certainly will include a prominent role for the Kremlin which has eagerly stepped into the power vacuum left by the receding US presence from the region. Now, per an exclusive report from Reuters, it appears as though the latest casualty of the Saudi shakeup is a financing deal sought by the $8 billion dollar Kingdom Holdings which is owned and run by Prince Alwaleed bin Talal...at least until he was recently arrested that is. Kingdom Holding’s plan to borrow money to fund new investments has stalled because owner Prince Alwaleed bin Talal has been detained in Saudi Arabia’s anti-corruption crackdown, according to four banking sources familiar with the matter. Kingdom 4280.SE had approached banks to obtain the loan, but the financing plan has been held up because the lenders are worried about potential repercussions if they lend to the prince’s company, the sources said. One of the sources, who was approached for the loan, said it would have been worth roughly 5 billion riyals ($1.3 billion). For those who aren’t familiar with the company, Kingdom Holdings is a leading Saudi investment firm with stakes in prime real estate including New York’s Plaza Hotel and London’s Savoy Hotel. The busted bank deal apparently surfaced after Kingdom Holdings attempted to pledge an equity position it recently acquired in Banque Saudi Fransi as collateral for a new $1.3 billion loan but several banks balked until the charges levied against Prince Alwaleed bin Talal were resolved. Kingdom completed the acquisition of a 16.2 percent stake in local lender Banque Saudi Fransi (BSF) 1050.SE in September, buying about half of France’s Credit Agricole stake in BSF for 5.76 billion riyals. The company approached banks to obtain a loan that would have been secured by its BSF stake, as the company wanted to leverage the newly acquired shares in order to make new investments, according to the sources. One of the four sources, a senior banker at a Saudi financial institution, said the loan deal would not go ahead until the situation facing the prince was resolved. Of course, Kingdom Holdings is likely not the only Saudi company finding it difficult to tap debt markets these days as Moody’s recently warned that a prolonged freeze of bank accounts could “damage corporate credit quality” all across the country. Eight Saudi and international bankers, including the four sources, said in addition to the Kingdom loan, a range of other transactions involving clients who are directly or indirectly involved in the detentions had also been put on hold. Banks have not reached the point of recalling existing loans, but they have increased the level of scrutiny for some new financing, the bankers said. In a report last week, debt rating agency Moody’s said a prolonged freeze of bank accounts in Saudi Arabia could damage corporate credit quality in the kingdom because large depositors were often large borrowers and business owners. “Saudi Arabia’s corporate sector remains dominated by unlisted family-owned businesses with uneven governance and disclosures and frequent intermingling of individual and corporate activities, which ultimately could expose corporates to these individuals’ frozen accounts,” Moody’s said. One day before meeting with the leaders of Iran and Turkey in the Black Sea resort of Sochi, Russian President Vladimir Putin held a surprise meeting with his Syrian counterpart, Bashar al-Assad, kicking off a diplomatic drive this week to outline the terms of an end to the Middle Eastern country’s bloody civil war. The two leaders discussed the political process in Syria, with the Russian leader saying that the fight against terrorism in the crisis-stricken country is close to completion. Perhaps even more notably, Putin said he would speak by phone with President Donald Trump later Tuesday. Assad’s visit, which wasn’t publicly announced until the following day, echoed a similar trip to Russia that he made in 2015 shortly after Putin launched his air and ground campaign in Syria. The campaign turned the tide in the war in favor of the embattled Syrian president, whom western nations have long sought to see removed. Following a two-year Russian intervention in the region, which has resulted in the defeat of the Islamic State in Syria and the preservation of the Assad regime, the Kremlin is moving on to bring together regional and global powers to revive long-stalled efforts to reach a settlement expected to cement the Syrian president in power. Following the meeting with al-Assad, putin will meet with Erdogan and Rouhani on Wednesday to discuss the political resolution to the Syrian civil war. The Kremlin said he held talks with the Emir of Qatar on Monday, Bloomberg reported. Assad’s visit to Russia and his talks with the Russian president lasted four hours, Kremlin spokesman Dmitry Peskov told journalists on Tuesday, RIA Novosti reports. “The most important question of course is what will happen after the defeat of the terrorists in terms of a peaceful political settlement,” Putin told Assad during their meeting in Sochi, noting the Syrian leader’s support for a Russia-backed peace plan, according to a Kremlin transcript. In the Tuesday meeting, Putin congratulated Assad on the results in the fight against terrorism; during his trip to Sochi, the Syrian president became acquainted with the heads of the Russian military. The Russian leader discussed the political settlement in Syria with al-Assad, saying that he believes it should be under the aegis of the UN, adding that he hopes the international body will take an active part in the process and its final stage. Putin presented Assad to the military commanders who led Russia’s effort. “I want to introduce to you the people who played a decisive role in saving Syria,” Putin said. According to the Russian president, “the problem of terrorism is a global one.” He added that “complete victory over terrorism is still very far away. But as far as our joint fight against terrorists in Syria is concerned, this military operation is really coming to an end.” Putin also said he will meet Turkish President Recep Tayyip Erdogan and Iranian President Hassan Rouhani in Sochi on Wednesday to discuss the Syrian crisis. Apart from these countries, Russia is working with Iraq, the US, Egypt, Saudi Arabia, and Jordan on settling the crisis, he stated. Putin added that on Tuesday he will hold a phone conversation with US President Donald Trump on the topic of Syria. Russia has been working actively with Saudi Arabia and other backers of Assad’s opponents such as Turkey to restart the peace process. On Wednesday, the Saudi government hosts a meeting in Riyadh of opposition groups that aims to combine them into a single delegation for peace talks in Geneva. The unified bloc, including factions less hostile to Assad, would be a “tame” counterparty for the Syrian regime at the negotiating table, said Robert Ford, a former U.S. ambassador to Syria who’s now a fellow at Yale University and the Middle East Institute in Washington. Meanwhile, in another surprising development, on Monday former Syrian prime minister Riad Hijab, who defected and headed the main Western-backed opposition group for the past two years, resigned without giving any explanation, according to a statement on his official Twitter account. 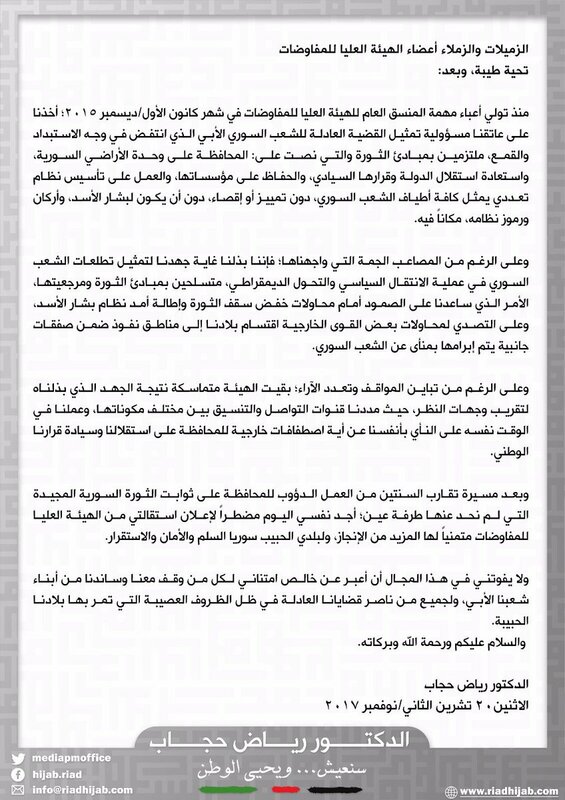 AS BBG adds, Hijab’s High Negotiations Committee earlier this month refused to attend the Russian-led peace conference between Assad and opposition groups in Sochi, saying it was usurping the role of long-stalled negotiations in Geneva chaired by the United Nations. Ironically, the Russia-centered organization appears to have achieved more for Syrian military descalation in two years than the UN could do in more than six. Russia has now revived the proposal for the Sochi meeting, which is expected to take place soon. Mugabe’s defiance immediately spurred conspiracy theories, including one where military commanders who flanked Mugabe during his speech smuggled him an alternate version following the review of his initial draft. Rumors circulated that some ZANU PF lawmakers had fled the country to avoid participating in an impeachment vote, though they were later debunked, according to local media reports. Still, the military’s deadline for Mugabe’s resignation – initially set at noon local time on Monday – has come and gone, and Mugabe remains the nominal leader of Zimbabwe, even if he’s still under house arrest, according to BBC. However, ZANU PF appears to be reaching the end of its patience with its long-time leader. In a media briefing, party member Paul Mangawana said Zimbabwe’s lawmakers will move to formally impeach Mugabe tomorrow, and that he could be formally removed from office as soon as Wednesday. Discussions about the impeachment proceedings began Monday, Reuters added. Reuters added that impeachment would represent an ignominious end to the career of the “Grand Old Man” of African politics, who was once lauded across the continent as an anti-colonial hero. Chief whip Lovemore Matuke told Reuters ZANU-PF members of parliament would meet at 1230 GMT to start mapping out Mugabe’s impeachment. It also said he had abrogated his constitutional mandate by trying to position his unpopular wife, Grace, as his successor. While the process of impeaching Mugabe looks complex on paper and involves a joint sitting of the Senate and National Assembly, then a nine-member committee of senators, then another joint sitting to confirm his dismissal with a two-thirds majority. However, constitutional experts said ZANU-PF had the numbers and could push it through in as little as 24 hours. A statement released Monday evening (local time) by Gen Chiwanga reaffirmed the military’s commitment to ensuring a peaceful transition of power. One Zimbabwe lawmaker said there will be another caucus meeting for ZANU PF members beginning at 10 am local time Tuesday. It also noted that the President has called for a cabinet meeting. The MDCT, another party, will also be in caucus, while the president meets with his cabinet. However, ZANU PF’s chief whip said that if Mugabe calls a cabinet meeting, no ministers will attend. Despite the political upheaval – and the marches that occurred over the weekend – local media reported that people were going on with their lives, on their way to work, children were in class, vendors were on the streets and taxis were meandering through the streets of Harare. However, while the demonstrations were peaceful, tanks were strategically positioned at Mugabe’s office and other key government institutions, a clear indication that the standoff is far from over. Zimbabwe’s Speaker of Parliament Jacob Mudenda had barely finished reading the rules and regulations of how impeachment proceedings would proceed against President Robert Mugabe when the 93-year-old leader and former revolutionary surprised his colleagues by officially resigning the presidency – something he had been reluctant to do even after the military placed him under house arrest last week. Both Reuters and the Associated Press confirmed that Mugabe had resigned, citing an announcement made by Mudenda. “I Robert Gabriel Mugabe in terms of section 96 of the constitution of Zimbabwe hereby formally tender my resignation… with immediate effect,” said speaker Mudenda, reading Mugabe’s letter. Mugabe has ruled Zimbabwe since the country gained its independence from the UK in 1980. Bloomberg reports on some positive developments with respect to NAFTA being saved. Both the Cdn loonie and the Mexican peso rise. While details are lacking for now, USDMXN has charged lower on the headline, as any whiff of Nafta being saved sends both MXN and CAD surging. USDMXN is now at 18.8625 and USDCAD is at 1.275. WTI/RBOB bounced today in anticipation of a reversal of the last two week’s builds in crude inventories, and bulls were not disappointed by the API print. Jan ’18 WTI pushed above $57 but RBOB fell after a big crude draw (though gasoline build). “It looks like we are going to get a draw in crude oil inventories. That’s somewhat supportive,” John Kilduff, a partner at Again Capital LLC, a New York-based hedge fund, said by phone. Crude inventories up the last 2 weeks and a surprise gasoline build spooked markets but if API data holds this week’s crude draw is the largest since August and the Cushing destocking is the largest since July. However, Gasoline saw another modest (surprise) build. As Bloomberg reports, while Russia is said to believe it’s too early to announce anything this month, Tass news service reported that Russian oil companies and the Energy Ministry discussed extending the deal with OPEC by six months after March. The Energy Ministry and oil companies continue to discuss different versions of OPEC’s deal development, RIA reported. Now that Venezuela, and its state-owned petroleum company PDVSA, were both officially declared in default on their debt by ISDA last Friday, analysts were closely watching what the insolvent Maduro government would do next, now that it is – at least on paper – isolated from most international capital markets (with the occasional loophole when it comes to Chinese and Russian funds). We didn’t have long to wait, and as Reuters reports, a cash-strapped, and bankrupt, PDVSA has resorted to siphoning oil from its cash-paying joint ventures with foreign firms to feed its domestic refineries. In one example, PDVSA asked its Petropiar joint venture with Chevron to turn over as much as 45% of the oil it planned to export in November without payment. While state-owned PDVSA predictably did not respond to a request for comment by Reuters, Chevron – which stands to lose far more – similarly declined to comment. Reduced exports of Petropiar’s crude is mainly having an impact on customers in the United States, according to one of the sources and Thomson Reuters trade flows data. From August through October, PDVSA took at least 1 million barrels per month of heavy crude from Petropiar after acquiring Zuata Sweet crude from Petrocedeno earlier this year. It is seeking 2 million barrels, or 45% of Petropiar’s total production for November. Venezuela’s action is a bizarre form of self-cannibalization, as PDVSA’s joint ventures export upgraded crude to buyers around the globe and as such, Maduro’s diversion cuts into the main source of the government’s revenue. The likely reason why the government has resorted to such a drastic decision, one which will significantly cut into Venezuela’s only source of dollar funding, is to deal with intermittent, and increasingly acute fuel shortages plaguing the nation because of the poor condition of its refineries, which in some cases are working at a third of capacity. Reuters confirms as much, “the lack of these exports add to the nation’s cash crunch as President Nicolas Maduro tries to restructure some $60 billion in debt to bondholders” even as some of Venezuela’s oil exports are already under oil-for-loan agreements with Russia and China, as we reported this summer. Meanwhile, Venezuela’s dometic oil industry is crashing as PDVSA’s finances are so weak it is struggling to find the funds to drill wells, maintain oilfields and keep pipelines and ports working, Reuters notes. For context, according to the latest OPEC numbers, Venezuela’s overall crude output declined in October to its lowest since 1989. Sanctions imposed by the United States on Venezuela and its state-run company PDVSA have not helped, and have also contributed to weaker exports this year as most offshore energy coutnerparts demand letters of credit, which however no banks will endorse due to fears of Venezuela’s escalating sanctions. As a last ditch measure, Maduro’s government has increasingly turned to ally Russia for the cash and credit it needs to survive as China has not extended any more credit to Venezuela amid delays in oil shipments, Reuters reported in August. Meanwhile, PDVSA’s U.S. refining unit, Citgo Petroleum, in July started boosting its imports of Venezuelan upgraded crude from the joint ventures as a way of offsetting declining purchases from its parent company, which is struggling to cover oil-for-loan agreements to Russian and Chinese companies amid falling output. And on Tuesday, Venezuela unveiled its latest “solution” to Citgo’s problems: as Bloomberg reported this morning, Venezuela’s Public Prosecutor, Tarek William Saab, said authorities arrested Citgo’s interim President Jose Pereira. Additionally, Citgo’s Tomeu Vadell, Alirio Zambrano, Jorge Toledo, Gustavo Cardenas y Jose Luis Zambrano were also detained. This latest radical “solution” will only accelerate Venezuela’s gasoline fiasco, which coming from the nation with the largest petroleum reserves in the world, is the final – and most ironic yet – indiginity of the socialist state. USA dollar index early TUESDAY morning: 94.09 UP 1 CENT(S) from YESTERDAY’s close. the Italian 10 yr bond yield is trading 29 points HIGHER than Spain. And here is why stocks are rallying to record highs… because earnings expectations are tumbling, silly!! The US Treasury yield curve collapse continued its unending path to inversion overnight with 2s10s plunging to sub-60bps and 5s30s hits a 65bps handle for the first time since Nov 2007. As a gentle reminder to all those shrugging this off, BofA reminds that in seven out of seven occasions in the last 50 years an inverted yield curve has been the prelude to recession. The Hill’s John Solomon details that Campbell documented for his FBI handlers the first illegal activity by Russians nuclear industry officials in fall 2009, nearly a entire year before the Russian state-owned Rosatom nuclear firm won Obama administration approval for the Uranium One deal. 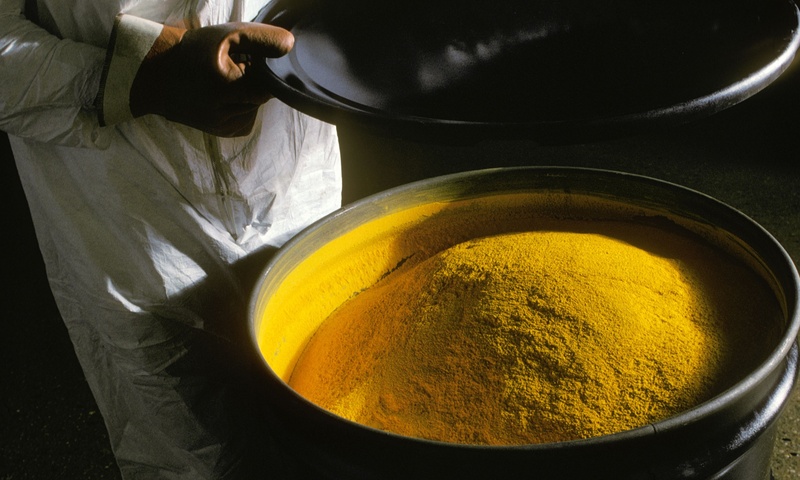 Part of the goal was to make Americans more reliant on Russian uranium before a program that converted former Soviet warheads into U.S. nuclear fuel expired in 2013, according to documents and interviews. Russia’s ambitions including building a uranium enrichment facility on U.S. soil, the documents show. The FBI task force supervising Campbell since 2008 watched as the Obama administration made more than a half dozen decisions favorable to the Russian’s plan, which ranged from approving the sale of Uranium One to removing Rosatom from export restrictions and making it easier for Moscow to win billions in new commercial uranium sales contracts. The favorable decisions occurred during a time when President Obama and Secretary of State Hillary Clinton were pursuing a public “reset” to improve Moscow relations, a plan that fell apart after Russia invaded Ukraine. Since Campbell’s identity emerged in recent days, there have been several statements by Justice officials, both on the record and anonymously, casting doubt on the timing and value of his work, and specifically his knowledge about Uranium One. However, as The Hill’s John Solomon crucially details, the more than 5,000 pages of documents reviewed by The Hill directly conflict with some of the Justice officials’ accounts. The Hill documents numerous attempts at misinformation and ‘fake news’ attempting to downplay or obfuscate documented evidence from Campbell of the timing of events. In recent days, news media including The Washington Post and Fox News anchor Shepard Smith have inaccurately reportedanother element of the story: that Uranium One never exported its American uranium because the Obama administration did not allow it. However, The Hill’s sources familiar with the full body of Campbell’s work said they expect he can provide significant new information to Congress. All of which still leaves us asking – why is the Justice Department downplaying this evidence and not moving forward with the probe? 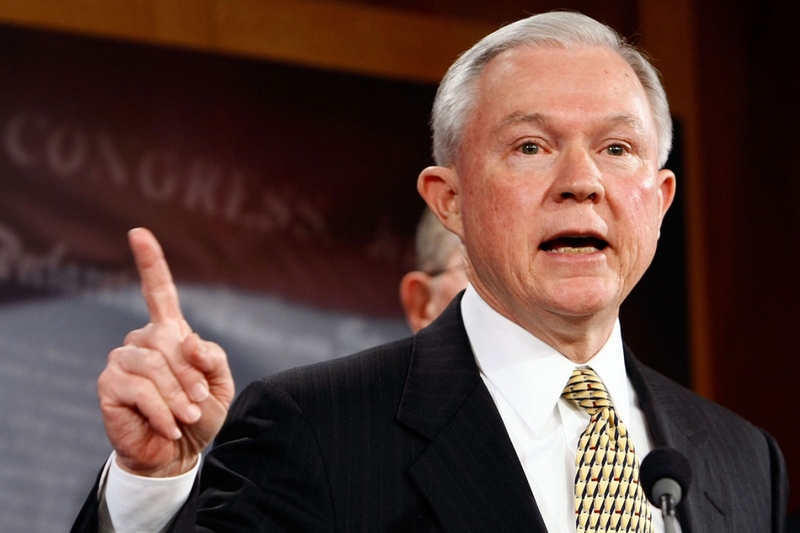 Two immediate scenarioes are possible – first, the rot is so deep and pervasive that the establishmentarians left are forcing the hands of the few; or second, the Deep State has Sessions by the balls. 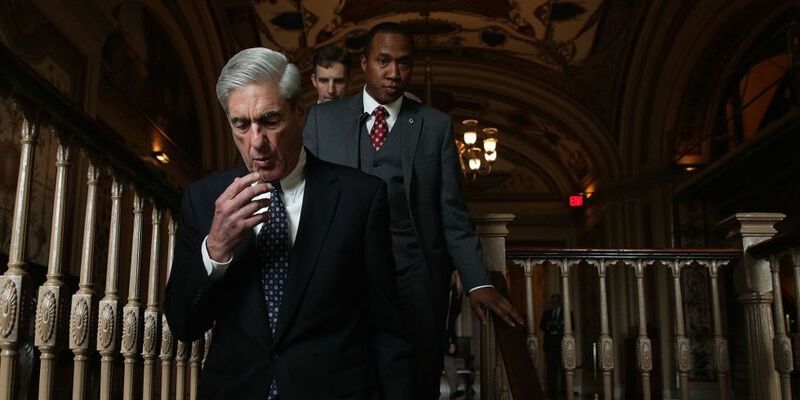 Several weeks ago a bombshell report by John Solomon and Alison Spann of The Hill revealed that an undercover FBI informant embedded deep within the Russian nuclear industry had uncovered evidence as early as the fall of 2009 of a massive plot by Russia to corner the American Uranium market. Evidence of the scheme was in the hands of the FBI an entire year before the Obama administration approved the sale of Uranium One to Russia’s state-owned Energy giant, Rosatom – which has since been exporting ‘yellowcake’ uranium to Canada, Europe and elsewhere via a Kentucky trucking firm. 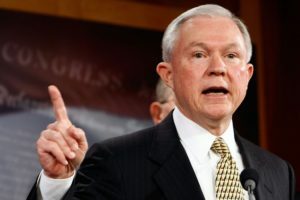 Meanwhile – John Solomon and journalist Sara Carter have copies of the FBI informant’s evidence, and Carter just annihilated the DOJ in an explosive report laying out the players, the timeline, and the evidence at hand. “In a story by Michael Isikoff, published on Yahoo, a DOJ official involved in the case stated that Campbell was a “disaster” as a potential witness and that “there was no question that Campbell’s credibility was such that the prosecutors had to restructure the case,” the source said.“He got cut out of the case entirely.” It is important to note that Campbell was going through 35 intense radiation treatments after being diagnosed with cancer during his time with the FBI, according to hospital records. Uber is bleeding red ink badly. It’s 2nd quarter cash burn was over 600 million dollars or 7 million a day. Mutual funds are announcing that they are going to slash their valuations by 15%. Then why did Uber purchase 1 billion dollars worth of driverless Volvos? Earlier this summer we noted Uber’s staggering 2Q cash burn of $600 million which equates to roughly $7 million in net cash outflows every single day. The staggering, and consistently growing, cash burn figures resulted in several mutual funds announcing they would slash their valuations of the struggling rideshare company by up to 15%. Of course, if cash burn was a concern before for Uber investors before then they should probably take note of the company’s newly announced decision to drop roughly $1 billion on driverless Volvos. According to Bloomberg, Uber has just penned a deal to pick up 24,000 brand new Volvo XC90’s in their push to flood the U.S. market with self-driving taxis. Uber Technologies Inc. agreed to buy 24,000 sport utility vehicles from Sweden’s Volvo Cars to form a fleet of driverless autos, Bloomberg News reports. The XC90s, priced from $46,900 at U.S. dealers, will be delivered between 2019 and 2021 in the first commercial purchase by a ride-hailing provider, Volvo said in a statement Monday. San Francisco-based Uber will add its own sensors and software to permit pilot-less driving. Of course, as we’ve pointed out multiple times before, to the extent the technology works consistently, avoiding the nasty consequences of death and mayhem in the event of failure, autonomous vehicles are worth big money to Uber and consumers…though not so much for the automotive OEMs (see “Ford Announces Plans To Self-Destruct Starting In 2021“). As we’ve pointed out, the cost of paying drivers is a substantial portion of the roughly $1.00 per mile charge paid by Uber riders. To the extent that cost can be removed from the equation then fares charged by companies like Uber will decline materially. But still, even if the technology works, the question remains how quickly consumers will adopt it, if at all. Certainly there certainly has been no shortage of videos hitting You tube lately of driverless cars plowing through red lights and getting into accidents…which seems less than ideal. Sales of previously owned U.S. homes rose to a four-month high, indicating demand was firming at the start of the quarter as the impact from hurricanes faded, according to a National Association of Realtors report released Tuesday. The median sales price increased 5.5% YoY to $247,000. Bloomberg reports that Houston and several areas of Florida saw gains when compared with a year earlier, while Miami is still showing some softness, according to NAR. As in the past, economic activity including in the housing industry typically bounces back after major storms as rebuilding and repair work gets under way. Another possible headwind comes from tax legislation being advanced in Congress, which the Realtors association strenuously opposes. The group said last week that the plans debated by lawmakers would “overwhelmingly remove the tax incentive to purchase and own a home in America,” and economists surveyed by Bloomberg said the House bill would reduce demand from homebuyers. The tax plan could be a “major wild-card disrupter to the housing recovery,” he said. Even so, he sees another “respectable year in 2018,” provided any tax changes don’t set back demand. More than 100 al-Shabaab militants were killed Tuesday in the latest US airstrike in Somalia the Pentagon announced, the latest in a series of strikes against the al Qaeda affiliated group and ISIS fighters in the war-torn country meant to support the local government. The strike occurred 125 miles northwest of the capital of Mogadishu, and was the 29th such strike since the start of 2017, and 7th since November 9. In coordination with the Federal Government of Somalia, U.S. forces conducted an airstrike in Somalia against an al-Shabaab camp on Tuesday, Nov. 21 at approximately 10:30 a.m. local Somalia time, killing more than 100 militants. The operation occurred 125 miles northwest of the capital, Mogadishu. As we reported yesterday, the Defense Department has deployed more than 500 personnel in Somalia including military, civilians and contractors, more than double the 200 personnel that had been reported to be in Somalia in March 2017, according to US Africa Command which oversees US forces on the continent. The personnel are part of the effort to support African forces fighting al-Shabaab as well as ISIS forces there. While estimates have fluctuated over time, the US now estimates there are between 3,000 and 6,000 al-Shabaab fighters and less than 250 ISIS operatives in Somalia. US troops have primarily operated in Somalia to provide training and assistance for local forces, according to CNN, but US special operations forces also continue to rotate in and out of Somalia, conducting counter terrorism operations according to defense officials. Early November saw a decided uptick in US airstrikes in Somalia. Africa Command and the Pentagon insist the series of airstrikes are simply due to the ability to identify targets and not as a direct result of a number of recent massive deadly suicide attacks in the Somali capital of Mogadishu, including a double truck bomb attack in October that killed hundreds. The increase in strikes in Somalia as well as Libya and Yemen, is driven by the intelligence that is gathered, according to officials: “I think as we constantly assess the battle space, when targets present themselves that are actionable and within the law of armed conflict, we’re going to strike those targets,” Lt. Gen. Kenneth McKenzie, director of the Joint Staff told reporters. There have been 29 strikes acknowledged by the Pentagon so far this year. Seven of those strikes took place between November 9 and 14. November 9, killing several militants, 100 miles west of the capital of Mogadishu. November 10 in the Lower Shabelle Region of Somalia, about 20 miles north of Mogadishu, killing several militants. November 11 near Gaduud, about 250 miles southwest of the capital, Mogadishu. Prior to the strike, US forces observed the al-Shabaab combatant participating in attacks on a U.S. and Somali convoy. US forces subsequently conducted the strike under collective self-defense authorities. November 12 there were two separate airstrikes against al-Shabaab and ISIS, killing several terrorists. The first was against al Shabaab in the Lower Shabelle region, the second against ISIS in Puntland. November 13, there was another airstrike 250 miles southwest of Mogadishu when al Shabaab fighters posed a threat to a Somali led counterterrorism operation. November 14 strike against al Shabaab about 60 miles northwest of Mogadishu. The strikes have been “made possible” by President Donald Trump’s decision in April to grant new authorities to the commander of Africa Command. The new authorities gave the Africa Command commander the ability to carry out “precision airstrikes” in support of African Union and Somali troops fighting terrorists in Somalia. Previously, strikes could only be conducted in self-defense of US forces. As previewed this morning, when we discussed the surprise meeting between Syria’s al-Assad and Vladimir Putin in which the Syrian president said “Today, on behalf of the Syrian people, I extend my gratitude to you for what you did, we will never forget it”, the Russian president was set to hold a phone call with Donald Trump ahead of further meetings in Sochi on Wednesday with the leaders of Iran and Turkey. Moments ago both the Kremlin and White House released read outs of the talking points on the call that took place around noon. BUT i WILL RESUME FRIDAY NIGHT.